Diez is a 2005 bay Oldenburg gelding by Dumont out of Wallstreet's Whisper. Diez is a very flashy bay gelding with four white socks, star, and snip. He has personality plus, and he just loves attention. He has a very kind diposition and is wonderful to work around. 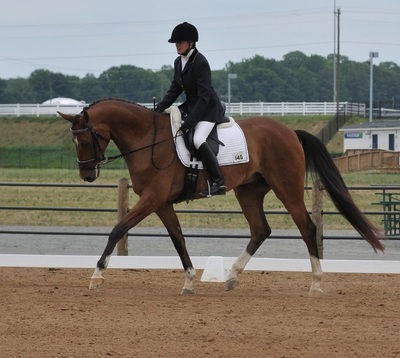 He is an excellent mover and is suitable for dressage or show ring hunters. He is 17.0hh. 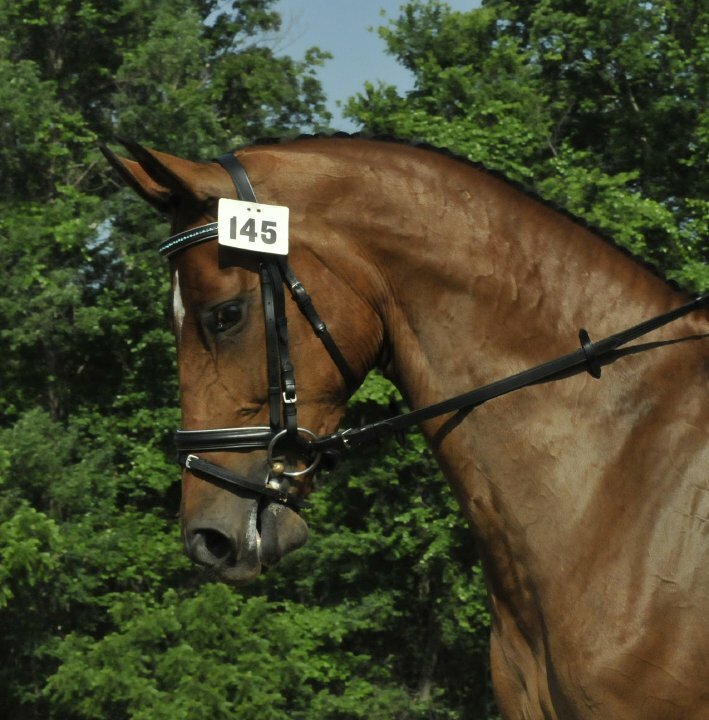 He is a tall elegant horse of a lighter build who is also very light on his feet. 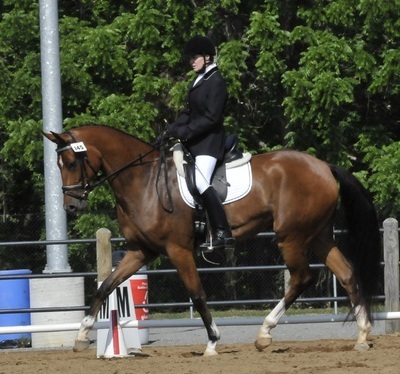 This is his second year showing in dressage and he has had a very successful year. He has qualified for BLM championships at both training and first levels, and for the USDF championships at training level. 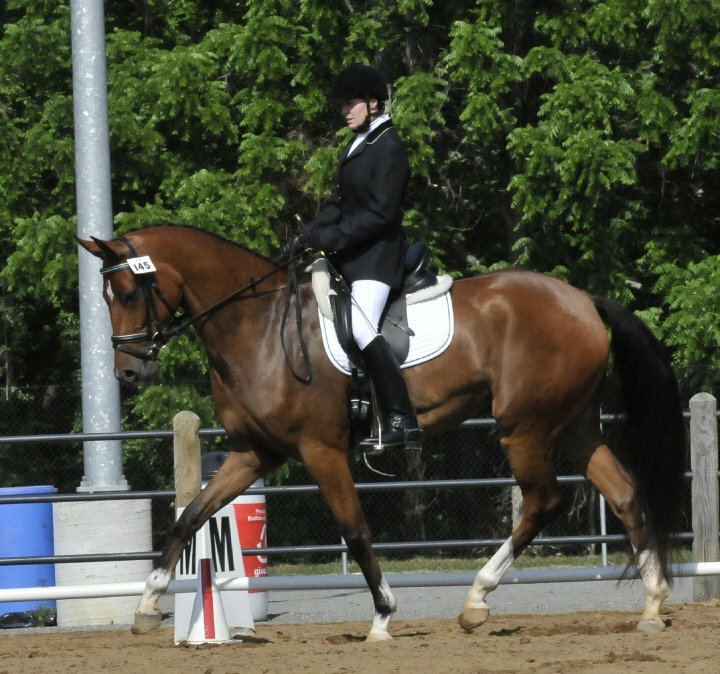 He has been reserve high score at training level at several shows, earning many scores in the upper 60s and 70s, including several scores of 74-76%. The judges have loved his energy and expressive gaits. He is flashy enough for a professional, but quiet enough for an amateur. He has had training over fences but, as we are a dressage barn, he is still green in this area. He loves the jumping, but is very quiet and brave over fences. 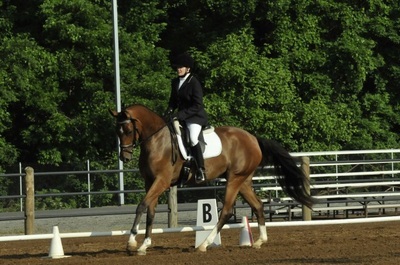 Please look for an updated link to a video clip from one of his dressage shows coming soon. The current video clip was taken sveral years ago when he was three. He is offered for sale at $50,000 USD.